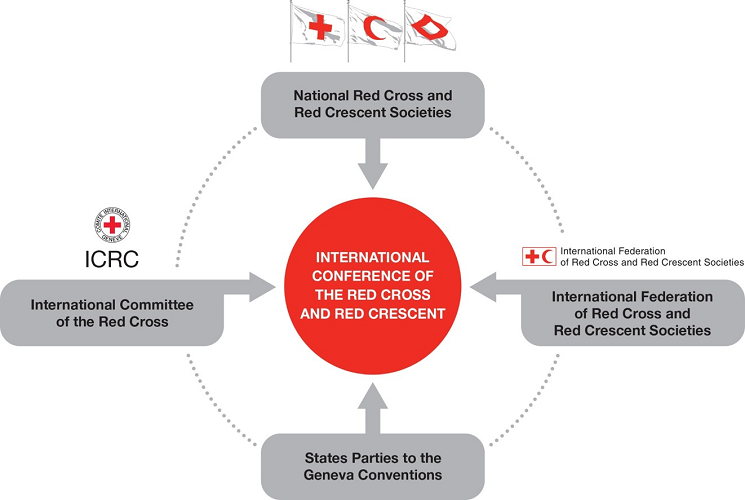 The International Conference is a unique global forum bringing together the States Parties to the Geneva Conventions of 1949 and the International Red Cross and Red Crescent Movement, including the 190 National Red Cross and Red Crescent Societies, their International Federation of Red Cross and Red Crescent Societies (International Federation) and the International Committee of the Red Cross (ICRC) with its specific mandate established under the Geneva Conventions. The Conference provides a non-political forum for dialogue on humanitarian issues. Note: prior to the 16th International Conference of 1938, reports were only published in French, as listed below.